This business was founded back in 1982 by our father. This is a second generation family owned and operated business. We have adopted his work ethic and knowledge of various trades while applying modern techniques & styles to adapt to our times. Currently, he is still the Construction Supervisor. Having completed projects in Trump Plaza and some of the most exclusive luxury condos in both Downtown Manhattan & Miami, as well as a project featured on the cover of the New York Times Magazine in 2000. We are proud of our accomplishments which drives us to do our very best on every project. For photos of that issue, please scroll down below. We have completed hundreds of luxury condo and home renovations projects in Downtown, Miami. We have also completed numerous residential and commercial renovations or repairs in the Miami-Dade and Broward county areas. We have a passion for making our work speak for itself. Experienced with building codes and regulations, you can have confidence in our skill, experience and knowledge to complete your next project. 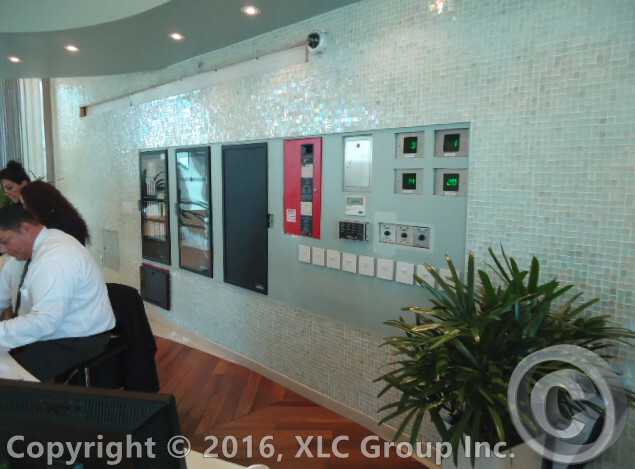 We have worked with many architects and engineers in both NY and FL to completion for residential and commercial projects. We are a versatile company capable of plumbing, electrical, drywall, framing, painting, custom cabinetry, custom furniture, along with the installation of appliances, electronics, fixtures, flooring among others along with some exterior additions, such as custom patios and furniture, decks, gazebos, staircases, among other exterior additions. Having worked in many condominiums, restaurants and stores, we have plenty of experience in commercial properties as well. For a more complete list of services we provide, please see our Services/Installation page. If it has anything to do with home improvement, we have what it takes to get the job done in a professional manner. Allow us prove to you that your project will be given the utmost attention to detail and that you, the client, will not be disappointed but ecstatic with the end result. With over 50 years of combined experience between the family, we hope to hear from you soon! Thank you for your time and consideration. Located in downtown Miami, FL. Custom made to house 3 computers and 2 TV monitors. Monitors were to be housed in the desk at an angle viewable through the Plexiglass enclosed desk. The blue frosted glass was chosen by management. 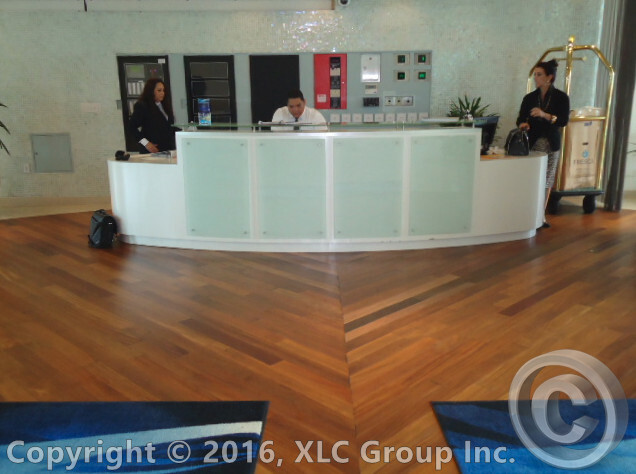 Installed by our team around the electronics to match the front desk and the overall décor of the lobby. Please fill this form out and we'll get back to you, or call us! DESIGN, CUSTOM WORK & REPAIR. CAPE CORAL, FT. MYERS & THE SURROUNDING AREAS. We attempt to improve our services on a regular basis to satisfy all of our clients. If you have questions or concerns please contact us, 24/7. We do look forward to hearing from you!